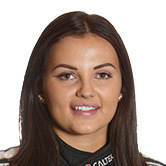 Renee Gracie will race a Holden for the first time in this year’s Dunlop Super2 Series after inking a deal with Image Racing. The 22-year-old is set to line-up in the second of Tony Klein’s ex-Garry Rogers Motorsport Holden Commodore VFs that will be fielded by Terry Whyhoon’s Image squad. Gracie spent last year in previous generation machinery, driving the bulk of the year in a Paul Morris Motorsport Ford before moving to an Image Falcon for the final round in Sydney. The new deal sees Gracie continue to compete with major backing from Caltex in what she admits is a critical season in her career. Gracie and Image have confirmed their Super2 program, while a Supercheap Auto Bathurst 1000 wildcard, potentially co-driven by Chelsea Angelo, is also understood to be in the works. The past two years have seen Gracie compete as a Bathurst wildcard alongside Simona de Silvestro, who has moved into the Virgin Australia Supercars Championship full-time with Nissan for 2017. "I am genuinely excited to head into this year with Caltex right behind me and even more upbeat about having identical equipment to those around me,” said Gracie of the Super2 deal. “While last year was difficult with two different specifications of car being allowed into the category, I’m really looking forward to the year ahead where someone of the calibre of Jack Perkins is alongside me (as a team-mate). It will be extremely valuable. “I've already driven the Ford and Nissan COTF (Car of the Future) cars and know how much better they handle, and can't wait to get into the Commodore in preparation for the opening round at Clipsal. “This year is a critical one for me and I'm extremely proud to have the continued support of a premium and iconic brand in Caltex Australia. “I'm also delighted to have formed a working relationship with both Terry Wyhoon from Image Racing and Tony Klein, who were both instrumental in pulling this program together." Long-time team owner and experienced driver Wyhoon says he’s looking forward to helping Gracie progress this season. "I was seriously impressed with Renee when we ran her in the final Dunlop Series event last year,” he said. “With limited running time, plus a new car and team Renee made major gains over the course of the weekend and I am sure she will be significantly better off this year in a new spec car. “Jack (Perkins) will be of great benefit to Renee and I am genuinely looking forward to what the year holds."